A brand new printing of a classic work! 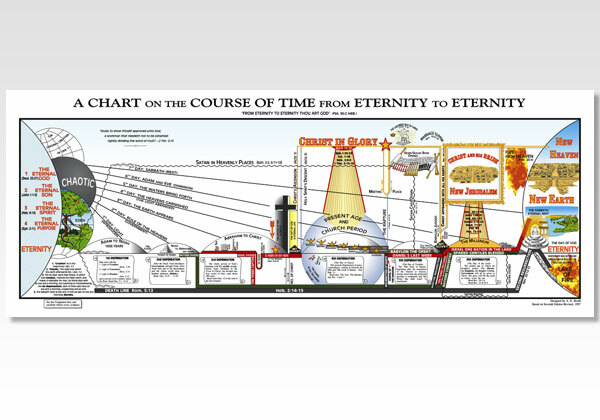 This famous chart showing the dispensations and prophetic events has been painstakingly digitally-recreated with exquisite detail, and printed on heavy paper measuring 31.5 inches wide by 12 inches high. This chart is faithful to the "seventh edition revised" version of the chart from 1957, and represents the finest reproduction yet of this quality work. An outline of A E Booths chart of the ages is the companion booklet for this chart.